Looking for a tee to wear to college that says something witty or maybe looking for quirky shot glasses? Pune-based startup, SheepStop has all things cute and funny. Read on! 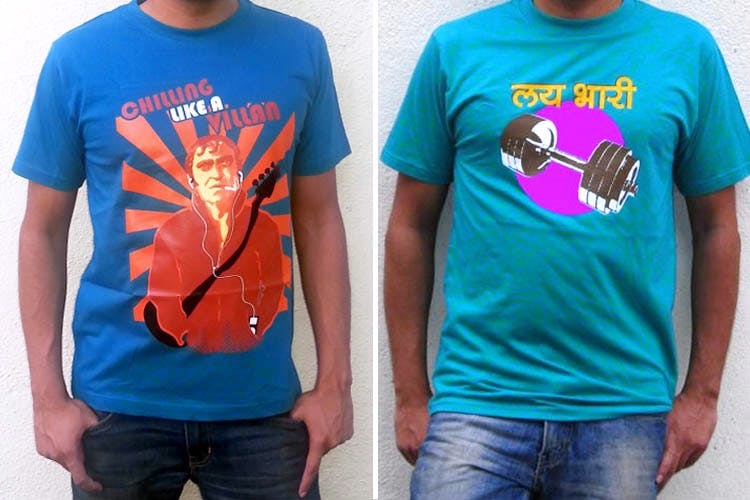 From tees that scream “Bazinga” written in Hindi to shirts that have “Anna Ki Filter Kaapi” beautifully printed on it, they have it all. There’s a huge variety of options to choose from at INR 599 for any of them. What's more? Check out their beer-mug wall clock, frames, amazing badges and magnets, starting as low as INR 50. Do you have a design in your head already? Submit your graphic to SheepStop and get it printed on a tee or wall decor.